With her Harry Potter franchise still squeezing gold coins out of the pockets of muggles with the imminent release of Fantastic Beasts: The Crimes of Grindelwald, JK Rowling has released some more shocking revelations about the Potterverse that she didn’t get round to putting in the seven novel series/made up because she was bored sitting on a pile of money and engaging in flame wars with Yes voters. She released her latest twist via Twitter yesterday. Yes, readers! Hogwarts School of Withcraft and Wizardry or Sgoil Draoidheachd is Buidseachd Chneas an Tuirc had a Gaelic house and it was the house known for its wit, wisdom and learning, Ravenclaw that was the designated Gaelic house. Rowena Ravenclaw has always been rumoured to come from Scotland, with her Celtic Raven imagery and Ravenclaws coming “from Glen”. Which Glen has been confirmed, with Rowena hailing from Mam Ratagan way with good Lochalsh wizarding blood in her. The presence of the MacDougall sisters, Isobel and Morag in the house, as revealed on Pottermore was also an indicator of its Gaelic nature. 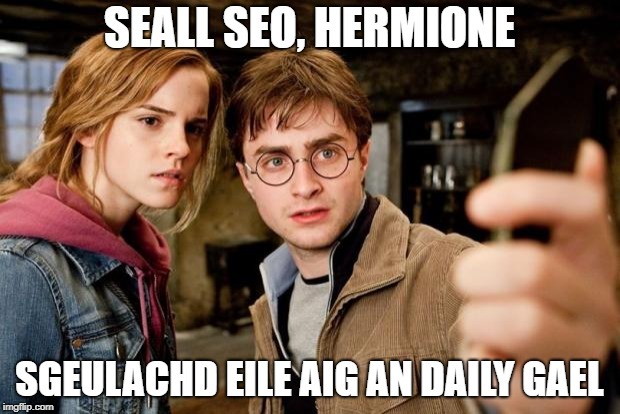 Bòrd na Gàidhlig said ‘ We’re delighted that JK Rowling is showing her support for Gaelic Medium Education, and it’s little surprise that Ravenclaw is the Gaelic house. Research shows that GME pupils consistently perform as well as, if not outperform their peer group. However, we also value muggle-learners and hope to see an increase in presentations in Gaelic (Learners) at the OWLS. JK has been quiet on whether she’d support the opening of a seperate Gaelic medium Wizarding School or whether Ravenclaw consistently won the money mile year after year but it turns out our romantic, tragic dark horse hero Severus Snape was a great friend of Gaelic all the time.